​iAsk x China Daily | What determines a VC will be long-lasting? At the age of 18, Gavin (Zhengdong) Ni faced his first major setback in life. He failed to be admitted to Tsinghua university because he filled in the application form inappropriately, despite getting a high score for the university entrance exam. So starting from the first day in college, he was determined to get into Tsinghua for grad school.In the following four years, he was the most diligent student. Four years later, Gavin Ni got into his dream school – Tsinghua University. Subsequently, he wished to study abroad, and was reading English newspapers even while taking a bath. Once, he was impressed by a piece of news he read about an entrepreneurship competition at MIT with the prize as high as 50.000 dollars. A thought came to him: Tsinghua shouldn’t just be an incubator for engineers and scientists, but also for entrepreneurs! He then founded an entrepreneurship student association with a few fellow students, and invited successful entrepreneurs such as Wang Zhidong, Zhang Chaoyang, Ding Lei to give talks. At that time, there were no student entrepreneurs in Tsinghua or entire China. Although Gavin Ni used to say, “The most successful person coming out of the Association of Student Entrepreneurs at Tsinghua was not me, but a freshman – Wang Xing, the founder of Meituan.” Under his leadership, the association hosted the first student entrepreneurship business plan competition, which became the first of such contest in Asia, attracted hundreds of teams to join. At that time, the most popular words at Tsinghua was “entrepreneurship” and “making a website”. These experiences also laid the foundation for Gavin Ni’s own founding journey. Since then, he was interacting closely with young entrepreneurs and investors, and made a name for himself. In 1999, when foreign VCs were coming into China’s venture world, Gavin Ni’s name and reputation helped him to gather a few alumni and oversea investment bankers to co-found Zero2IPO Group. 19 years later, Zero2IPO has grown to be China’s leading service platform and investment organization for venture andinvestment. Zero2IPO not only has four business units – venture services, asset management, financial advisory, and innovation space, it also has six internet platforms and products – PEdaily.cn, PEdata.cn, project factory, Newseed, Sandhill college, and PEstreet.cn. To give an analogy, Zero2IPO started off as the “convenient shop” for the venture capital industry and now, it has grown to be the “department store”. However, for Gavin Ni, Zero2IPO is still a “waiter” providing services for the investment industry. So far, Gavin Ni helped financed and invested in more than 100 startups. He is the representative of the younger generation of China’s venture capital industry. Some featured companies he invested include Qihoo 360, Bona Film, Mecoxlane, 51welink, 56.com, haibao.com, tianya.cn, moonbasa, Sanfo Outdoor, and iKang healthcare. He has seen both the prosperous times with booming startup scenes and huge capital flows into this market, as well as the downtimes when financing gets difficult with tightening regulations. From the starting point to the turning point, Gavin Ni and Zero2IPO have witnessed the growth of China’s venture capital industry step by step.  This issue of iAsk Media, Gloria Ai is having a conversation with Gavin Ni, CEO of Zero2IPO, to analyze the changes and continuations of China’s venture capital industry. Gloria Ai: Having been in China’s VC industry for the past 19 years, what are the things that remained unchanged, and what are the most rapid changes? Gavin Ni: For the past 20 years, what remained unchanged are a sense of mission, patriotism and the love for our country. Our curiosity remains, we try to discover young talents. What also did not change is that we support things that were not successful, talents that were not successful, firms that were not successful. We are still as passionate as before and keep pushing hard. I think this state of mind remained unchanged. Gloria Ai: Many Chinese firms are no longer competingon profits, revenues or number of users, but competing on how fast it takes toreach a billion dollar valuation. Actually, no matter in China or around the world, during this fast capital development process, there appear to be lots of bubbles. Would you be worried that during this bubble period, many startups will die out? Gavin Ni: Actually many things that happened in America will also happen in China. In 2003, I went to the US and visited many US VCs. When I tried to meet them again in 2008, two-thirds of them disappeared. So this market is very cruel. Gloria Ai: Then what determines whether a VC will be long-lasting or fail? Gavin Ni: The most important thing for an investment organization is to be able to continuously invest in good firms. You are able to raise capital, invest in good firms, manage things well, and make your exit. These are very important. This industry is not about pitching, but it is based on successful investment cases. Which company did you invest in, how many shares do you have, how much did you earn, are all very clear. Do not talk about how much it is valued on paper, but how much money have your LP actually received. This is the most important. So the success of an investment firm does not depend on how it is doing today, but how it is in the long-term. In our industry, we measure it over the course of 10 years. Gloria Ai: You used to say that investing is a professional thing, one needs to check out both the people and the business, and the longer one stays in this industry, the more it feels that people are hard to judge. Why is that? Gavin Ni: The companies that helped us to earn money were the ones which we invested in the right people. In 2009, when we invested in Zhou Hongyi,actually, it was based on a gut feeling. You say how much you understand his business model, his financial sheets or his clients, it is actually not like that. I just felt that Zhou Hongyi was a good shot, he can succeed. JD was valued at 50 million dollars, and no one wanted to invest in him. So I feel what is hard for the investors is not to judge the business, but the people. Gloria Ai: Some say, investing is to invest in the future of a country. Investors are very sensitive to the macroeconomic situation and the micro-conditions on the company level. Facing the future, are you more anxious or more confident? Gavin Ni: We all have to thank “the reform and opening up” from 40 years ago. Without “the reform and opening up”, we would not be able to get an education, to go to college, to found a startup, or join a VC. We had huge achievements in the past 40 years, which are well-received around the world. But how the future will look like? We are all very anxious this year, very very anxious. In Beijing, it is better if you are alone. When you gather with a few friends from the VC circle, everyone is talking about bad news, so everyone is full of negative energy, and people get more anxious when gathering together. But whatever it turns out, everything will be good eventually. So I believe that, all the worries, challenges we are facing in the VC circle this year, no matter about registrations, taxation, or fundraising, they won’t be aproblem next year. So we have to be optimistic.